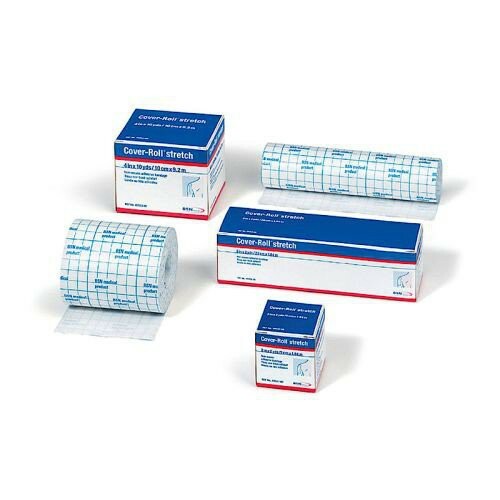 The Cover-Roll® Stretch 45549 by BSN Medical is an adhesive fixation dressing to secure a primary wound dressing. It adds light compression while allowing the primary dressing to breath due to the Cover-Roll's permeable membrane. This combination minimizes the risk of maceration for faster healing. The Cover-Roll® Stretch effectively contours to body parts that bend. 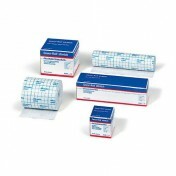 It maintains secure adhesion with its latex free polyacrylate adhesive. It's gentle to the skin and is easily removed with rubbing alcohol if needed. 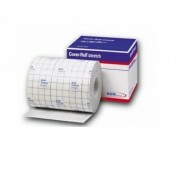 The dressing is easy to apply and is available on a 2-yard roll. The 6 inch width creates adequate coverage. Simply cut the dressing to size using the backing's gridlines.